Being a geomorphologist and reading a landscape is a little bit like being one of the forensic scientists on CSI (or choose your own favorite investigative show). 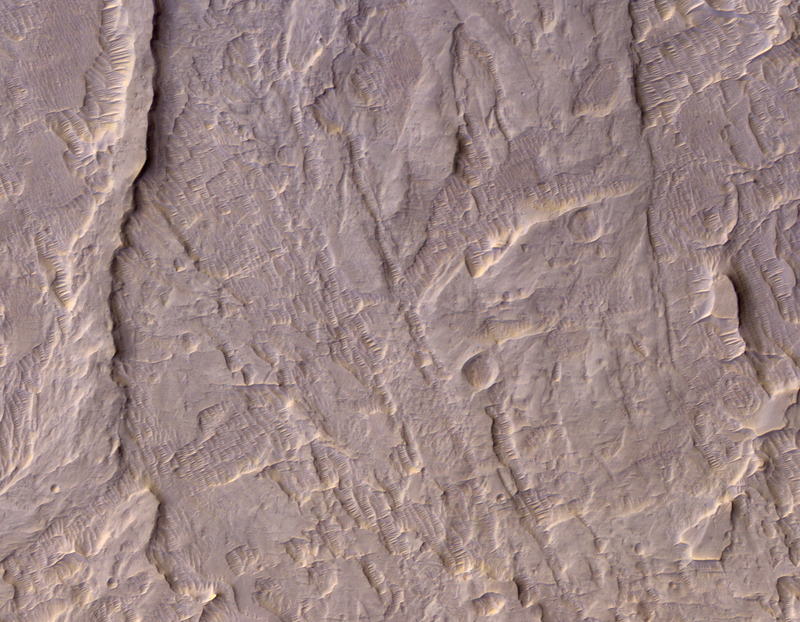 A Mars geomorphologist usually has to do this entirely by remote sensing. So now imagine that forensic scientist trying to piece together a crime scene by peering at images taken by a drone. On Earth, at least, a geologist can head out to the actual field site and take samples and do some honest labwork to figure out how ancient landscapes formed. Planetary scientists aren’t often so lucky (although we do use analog sites on Earth to try to learn something about other worlds). Take this scene for example. I’ve purposefully left it at full resolution (25 cm/pixel, click on it to see), but it’s not the whole image. 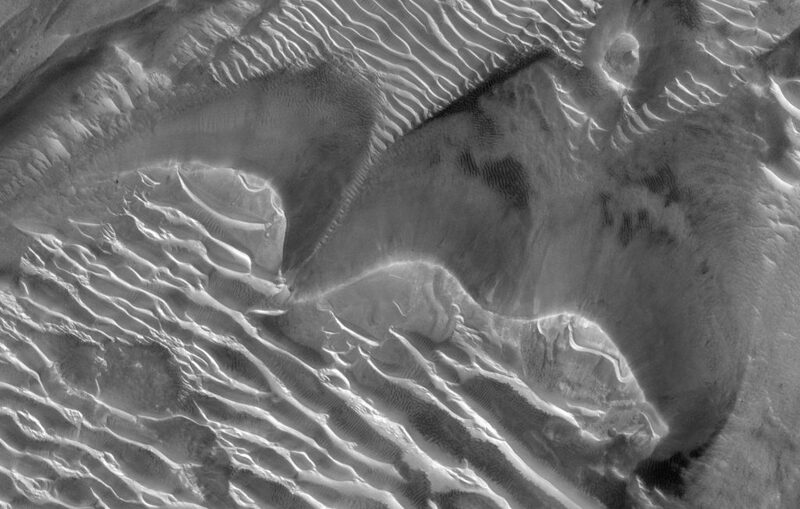 Be sure to follow the link to the HiRISE website if you want to see the whole thing, it’s quite a view. 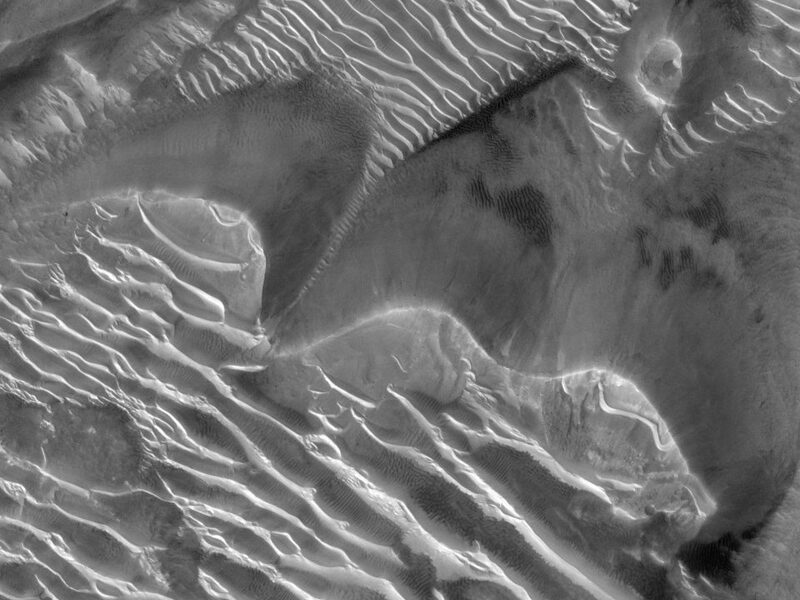 A bit of an active dune field, view is 1.125×0.875 km (0.7×0.54 mi). Click on it to open the full resolution view. 1. Impact cratering: OK, a typical terrestrial geologist (they think of themselves as “geologists” without the “terrestrial” in front, but as a planetary scientist I will specify the difference) won’t immediately list impact cratering as a sedimentary process. It’s not typically taught in a standard geology class, because impacts are rarely preserved on Earth (our planet has too much tectonic activity and erosion). But it really is a sedimentary process, because meteorites add their mass to the rock record, and they are not brought to the surface by igneous or metamorphic processes. Anyway, see those circles in the image above? Those are old impact craters. 2. Fluvial processes: That long flat table going up the left side of the image is the remains of a channel deposit. The channel was once carved into the ground, and the water left behind sediment that is more resistant to erosion than the surrounding surface. It’s not yet clear whether this particular deposit was made under water (in which case this is a delta deposit) or not (in which case it’s an alluvial fan deposit), but I’ll bet some of my colleagues have strong opinions one way or another. If you look at the whole image, you’ll see many more of these channels. In fact the surface you’re looking at was built from these deposits. The channel you see is probably filled with small stones, which are more resistant to erosion than finer-grained sediment laid down by slower-moving waters. “You study the wind”, you say. 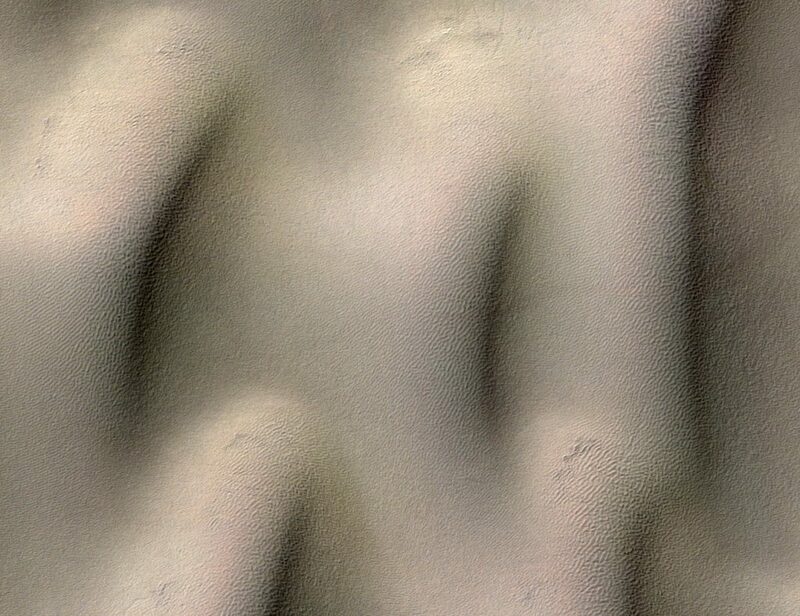 “This stuff is neat but what about dunes?”, you say. 3. Aeolian processes: Oh yeah, they’re here too. The whole reason you see that water-carved channel? The wind. See, you may know that water tends to carve channels into a landscape, and doesn’t leave long tables of it snaking along the surface, like you see in the channel. That’s because once the surface of this landscape was much higher, and that channel was carved into the landscape. The wind blew all the other stuff away. Meters and meters of it just gone now. Here, the wind has mostly acted as an agent of erosion, removing sediment so that you can see some of the sedimentary history (without the wind, much of Mars geology would be buried, and the planet would be a lot more boring to look at). Now have another look at the round craters you see. They’re deeply eroded. 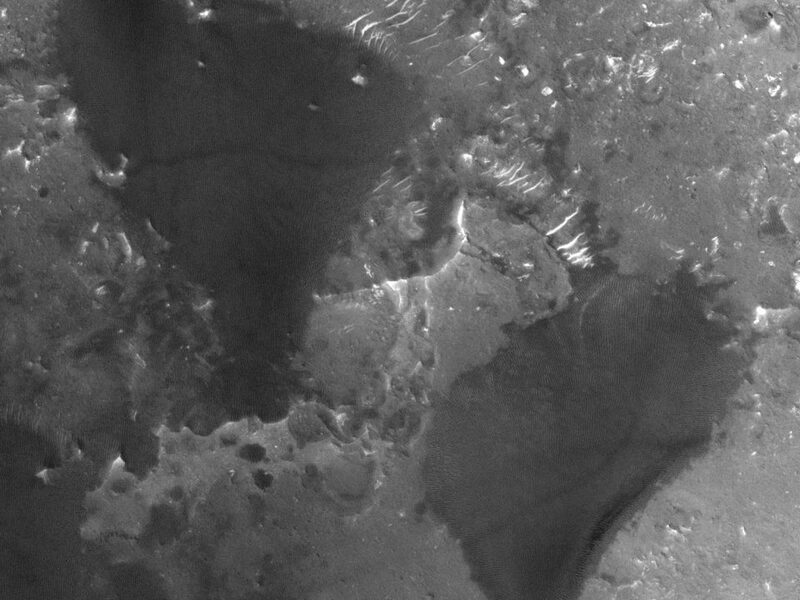 None have any ejecta blankets (stuff thrown out around during the impact) because all of that has been eroded away. 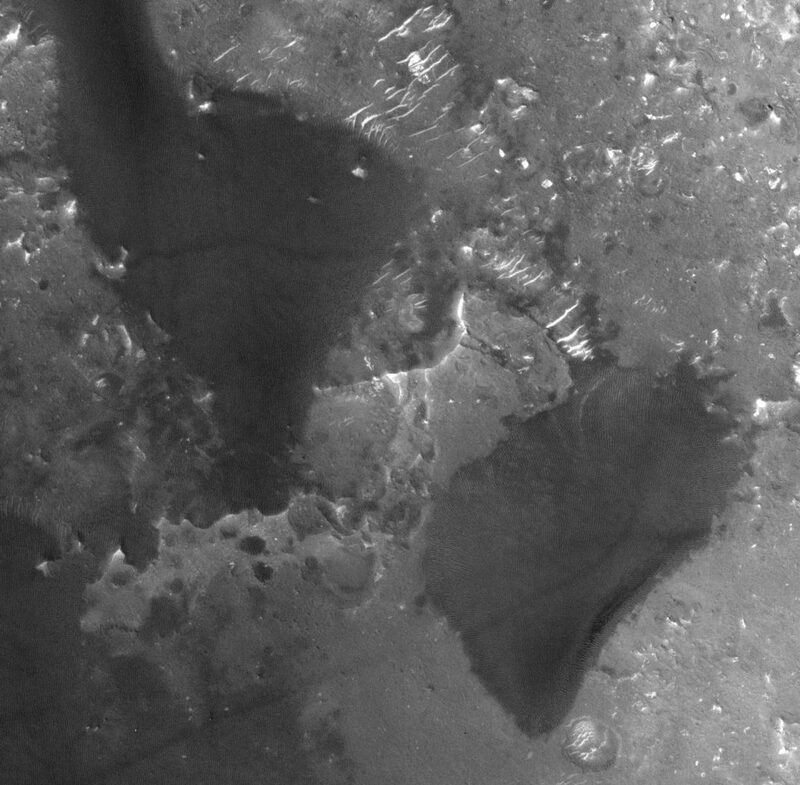 None of the crater rims are raised relative to the landscape – they’ve also been eroded away. 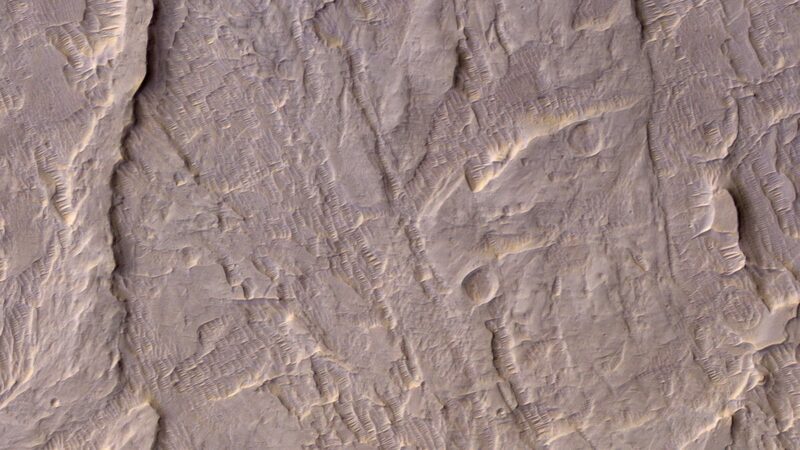 Look closely and you may see many circular features that you may not have noticed at first – most of these are old eroded craters. And finally, when you look really closely, you’ll see endless criss-crossing ripples everywhere. These are probably made out of the eroded bits of fluvial deposits and crater ejecta, blown around by the wind and reshaped into ripples. On Mars you always come back to the wind, one way or another.